Those youngsters are always looking to get a taste of the fun, now aren’t they? Well, now they finally can. SnapKidz is a brand new feature for those under the age of 13. Apparently, SnapChat trusts that these kids wouldn’t otherwise fake their age and take a risk for the glamour and fun that is the social photo-swapping goodness that makes SnapChat worth it. 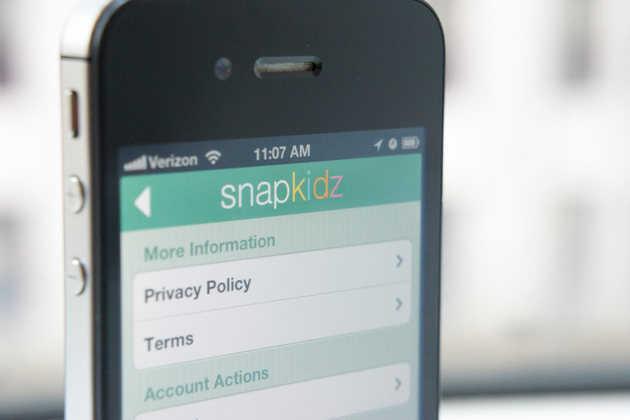 The new app allows children under the age of 13 to sign up under youngster accounts and use all of the features of a good ol’ fashioned snap’n without any ability to share the images. They can take pictures, draw obscene things on them, take pictures of obscene things, or anything else most older persons do with the application. I honestly don’t understand why they think this will make any difference, but apparently the company that streamlined sexting really believes in the honesty and integrity of humanity. Check out the update from the bad boys themselves HERE and be sure to check in daily for the fun interpretations of Max Bleich, technology weirdo. The man who runs this place. In case you haven't noticed, I'm a tech junkie- dedicated to reading and writing on technology news every second of my life. When I'm not alive you say? Well, I'll be either reading, listening to the wise words of Bob Dylan or sipping down an ice cold Coca-Cola.